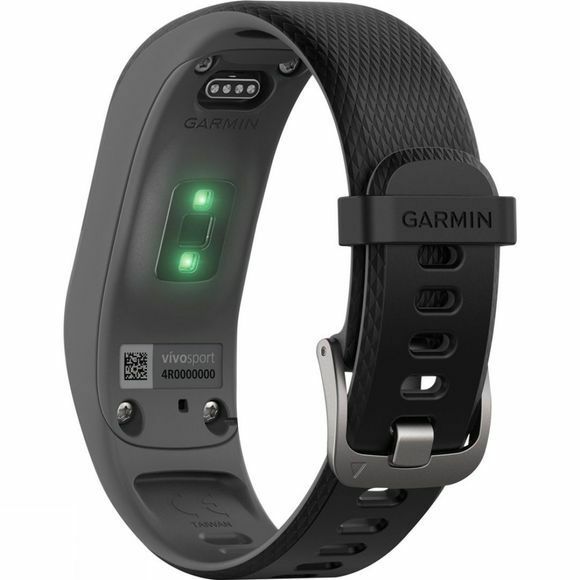 The Vivosport GPS Activity Tracker from Garmin is a sleek and smart activity tracker that will track your daily activities as well as workouts and stress levels to give you interesting and encouraging stats to lead a healthier and more active life. It boasts a slim design that is discreet enough for any occasion whether you are wearing sports gear, office wear or your finest gladrags for drinks with friends. 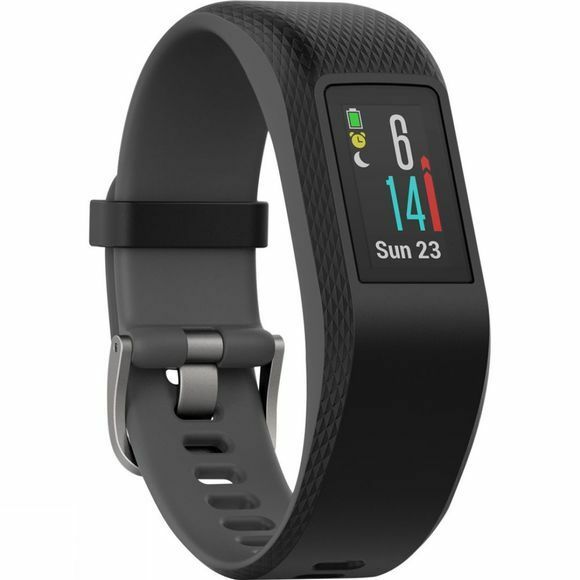 Despite it's size it packs a pretty punch, with built in GPS it tracks your indoor activities as well as your outdoor activities. Outdoor activities can then be mapped for on your Garmin Connect profile so you can see exactly where you have been and see where you could extend your route as you get fitter. It is pre-loaded with running and cycling apps as well as timed activities such as strength training and cardio and it is swim proof making it perfect for those who love to get involved in a huge variety of activities. All day stress tracking helps to monitor your wellbeing while the relaxation breathing timer can help you take a moment out of your day to gather your thoughts and relax properly. A great way to beat yesterday.